Transition strips probably aren’t the first things you think of when planning your new flooring project, they hardly get the heart racing! However if you want the flooring throughout your home to look seamless and smart then planning the transitions from room to room and from flooring type to flooring type is definitely something you will want to spend some time planning. In this Home Flooring Pros guide we will walk you through the different types of transition strips available and which flooring type they typically used with. Here is an overview of your common transition strip options, what types of flooring projects each is used in, prices and examples of each from leading home improvement retailers. 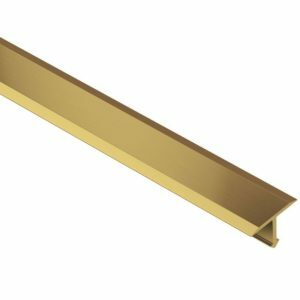 T-Bar: These are typically metal transition strips such as aluminum or lightweight steel, but vinyl, composite and wood are used as well. Shaped like a T, they are used between two hard surfaces of the same height. To find just the right product, ask or search for them by flooring type such as tile transition strips or wood transition strips. 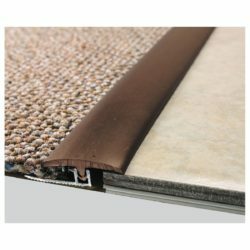 Reducers for Carpet and Hard Surfaces: A carpet transition strip is used between carpeting and hard flooring because the materials are not the same height. Carpet transition strips smooth the transition and catch the eye to let you know there is a change in flooring and height coming. Reducer transition strips have a metal track that goes down first. Teeth on the carpet side of the transition grip the material to hold it in place as tack strip would. The visible top portion might be metal, vinyl, wood or laminate, generally chosen to match the hard flooring. These transition strips are often sold in kits with a variety of pieces included. The two flooring materials being adjoined determine which pieces you use. Hard surface transition strips such as a tile to carpet transition strip cost $14 to $30. Here are two examples. 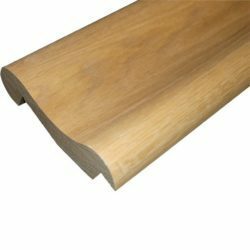 End Bar/End Molding/End Cap: These transition strips are used with hardwood and laminate flooring where it meets a door, step or another flooring type. Most hardwood transition strips are made of wood or laminate to match the flooring. They are notched on one side to cover the edge of the flooring; the other side typically has a bullnose shape, though some are gentler in slope. End molding price is $18 to $50 based on the length and material. Scotia/Quarter Round: These wood transition strips cover the expansion gap required at the perimeter of wood flooring, if that gap isn’t covered by baseboard trim. Scotia and quarter round have similar but slightly different profiles, as the examples below demonstrate. Prices range from about $0.50 to $2.75 per lineal foot. Premium woods might cost more. Baseboard: Baseboard transition strips give the perimeter of the room a finished look and cover any expansion gap required or tack strip when the flooring is carpeting. 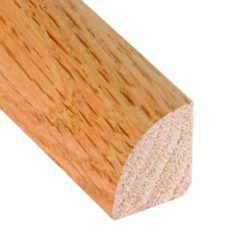 Quality baseboard molding is made from solid hardwood, but wood composite, vinyl and foam are also used. 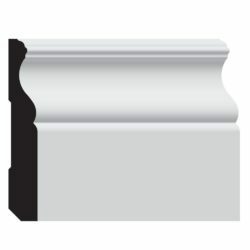 Baseboard molding prices start below $1.00 per lineal foot for foam and wood composite. Hardwood baseboard costs $3.00 to $10.00 per foot, but some premium products cost more. Here are the most common materials used in transition strips and where each might be installed. 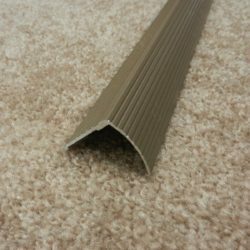 Rubber transition strips: Typically installed in commercial settings where harsh chemicals are used to clean floors, a rubber transition strip is used between two hard floors or between carpet and hard flooring. 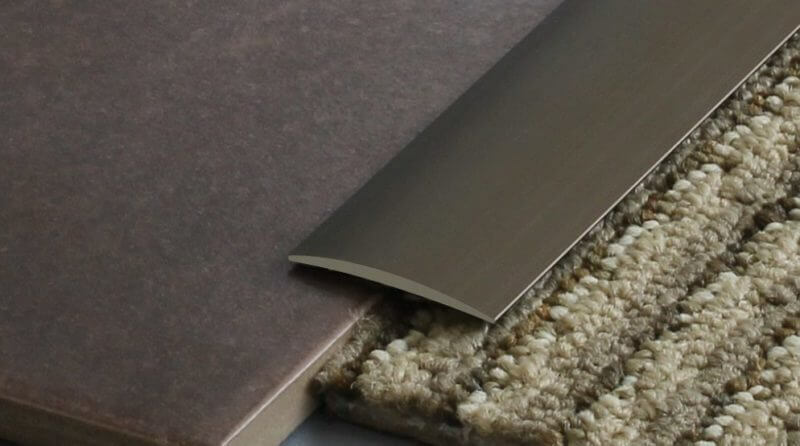 Metal transition strips: A range of metals are used including pewter, aluminum and brass, each in several different finishes to give you options for accentuating your flooring. A metal transition strip can used with any flooring type. Vinyl transition strips: These are often the cheapest transition strip option for use with hard flooring types. A vinyl transition strip is also chosen when moisture control is important. Wood transition strips: This is the top choice for wood and laminate flooring transitions to another hard surface. An example would be a tile to wood floor transition strip. The right wood transition strip will match the color of the flooring. Schluter transition strips: Schluter flooring systems are subfloors for tile and stone. A Schluter transition strip can be used as an edge material or where two different flooring types join. Im looking for a metal t molding for transitions. It needs to be oil rubbed bronze. Any help? Did anyone get back to you on this one? I need the same thing for an interior application, btwn 1/8″ vinyl plank & polished concrete. looking for two wooden transition strips from tile to wood. We replaced the tile in the kitchen and the new floor is about 3/4 inch higher than the wood floor in the dining room and the hall. Any suggestions? Randall Manufacturing makes amazing carpet transition and fabulous looking oak carpet strips/transition strips. Fox Home Center sells their products online and many local Ace stores, Do it Bests and True Values carry their products also.